A delivery service is available to people unable to visit the library. This service is provided fortnightly on alternate Thursday or Friday mornings, depending on location, and it is supported by volunteers, who select and distribute the items. 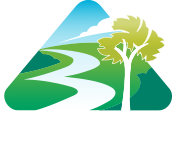 People wishing to use the house-bound service must live in the Town of Bassendean and be members of the library. Click here for information on how to join the library, or telephone us for assistance. To help our volunteers select suitable material geared to individual preferences, print and complete the application form and post or fax it to the Library. An informal gathering to stitch, knit, crochet, share and compare with others- whatever you are in the mood for! Everyone is welcome. A story time session is held every Thursday and Friday morning during the school term periods, from 10.30am – 11.00am. It is an informal gathering and involves reading stories and rhymes and a simple craft activity. There is no need to book and while these sessions are aimed at 2 - 4 year olds, babies and older children are also welcome. Rhyme Time is a special session for parents and babies up to 18 months old and involves songs, rhymes, finger puppets and lots more. It's never too early to share books with your baby! No bookings necessary, just drop in and have fun every Wednesday 11am during school term. An hour of themed building and LEGO challenges for children 6 to 12 years of age. Places are limited - please book https:www.trybooking.com/ODPN, call the library 92792966 or email baslib@bassendean.wa.gov.au. Each session will open for bookings on the 1st day of the month. A rich resource on the historical and current development, society and culture of the Town of Bassendean, this collection includes books, photographs, diaries, letters, local government archives, maps and oral histories. Many photographs have been digitized and can be viewed online via the Library catalogue. Need help with finding information on your subject? The library staff can assist you by checking our library’s collection, the collections of other libraries and electronic databases. Search this gateway to library collections around the State. Search - National Library of Australia for digital content and collections around Australia. Busythings is an online resource for the early years that includes 115+ fun learning activities that help children learn important skills in the key learning areas of creative development, problem solving, reasoning, numeracy, communication, language and literacy and knowledge and understanding of the world. Items that cannot be found within the Bassendean Memorial Library can be requested via the Inter-Library Loans Service. Library staff or patrons can establish the availability of items in the State’s libraries, by searching the State Library of Western Australia’s catalogue at www.liswa.wa.gov.au. Requests can be submitted at the Library or via e-mail. Some restrictions on what can be requested on interlibrary loan do apply. If the item is available at the supplying library it should arrive at Bassendean within the twice weekly delivery, but if it is out on loan or in heavy demand, it is not possible to give an exact arrival date. You will be notified if the requested item cannot be found, or is unavailable for loan. Should the request be urgent, it may be possible to find which library has it on the shelf and by joining that library (an ID and proof of current address is needed), you will be able to collect the item yourself. Members will be notified by post or e-mail when the item has arrived at Bassendean Memorial Library and will have 8 days to collect items. The loan period is three weeks and the item may be renewed if the supplying library does not have any other requests for it. Bassendean Library staff will need to contact the supplying library to confirm this before renewing it. The State Reference Library is a reference library, and will only lend some of its stock. Those items which are not available through inter library loan may be consulted at the State Library. If you wish to do this, it is advisable to phone them first at 9427 3111, to confirm the item is available. The State Film and Video Library and Music and Performing Arts Library are primarily reference libraries and not all of their stock is available through inter library loan. If you wish to visit these libraries in person, some items, such as musical scores and playscripts may be borrowed directly by becoming a member of the Music and Performing Arts Library. Videos and films may not be borrowed but may be watched in the State Film and Video Library. You will need to contact the library to see if the item is available and to arrange a time. For more information, contact State Film and Video Library on 9427 3242, and Music and Performing Arts Library at 9427 3244. A photocopy request can be made for a specific journal article or section of a book, as long as it does not breach copyright regulations. A photocopy can be supplied from any library in Australia. For more information or if you need help with locating an item, please call the Library at 9279 2966 or e-mail us at baslib@bassendean.wa.gov.au or ills@bassendean.wa.gov.au. Bassendean Library is pleased to present a two part program, allowing patrons to learn a variety of digital technology skills. Cyber Citizens- The library has available volunteers to assist you in becoming familiar with the Internet and learning computer skills. Individual, one hour tutorials are available, Monday- Saturday. Bookings are required. Telephone 9279 2966. Be Connected- An Australian Government initiative, promoting the skills and knowledge necessary to be comfortable in an online environment. It consists of online learning tutorials that cover computer basics, social media, cyber safety and online shopping. Users must set up an online account, and then choose what courses they wish to access. Bassendean Library’s two part technology program may be done in tandem, allowing digital literacy to be learnt through a committed trainer, and through online courses. Knowledge will therefore be reinforced, and retained. Used batteries, mobile batteries, printer cartridges, light globes and unwanted spectacles can be deposited in the library during opening hours. For more information about Town of Bassendean’s recycling service click here.